Great for therapeutic exercises as well as standard strength training. 9" long and 2" wide flat band loop. Connect this attachment to your door and turn your home into a gym! For use on any machine weight stack. 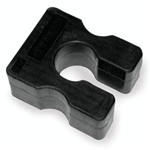 Allows you to increase resistance in 2.5 or 5 lb. increments. 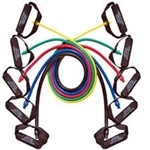 Pull all your cable workouts together with the Adjustable Nylon Stirrup Handle. Give your fingers a hand with ergonomically designed, textured grip stirrup handles. weights. Fits all standard and Olympic bars. The Cable Speed Rope is designed with frictionless rotation for extreme cardio workouts. 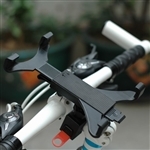 This tablet holder is suitable for all bike handle bars with diameters of 23-35 mm. This Triceps Rope has the strength to pull a truck! Features over-sized rubber blocks and super-thick, high-carbon steel swivel for strength, durability and comfort.